The New Mom Project is a registered charitable organization based in Toronto, Ontario and run by volunteers. Since our inception in 2014 we have helped over 1500 families prepare to welcome their new babies. We are filling a void that has become noticeable to all involved in raising a family in our city and that is that there are women in our communities who are starting their new lives as mothers without the basic necessities to care for a baby. 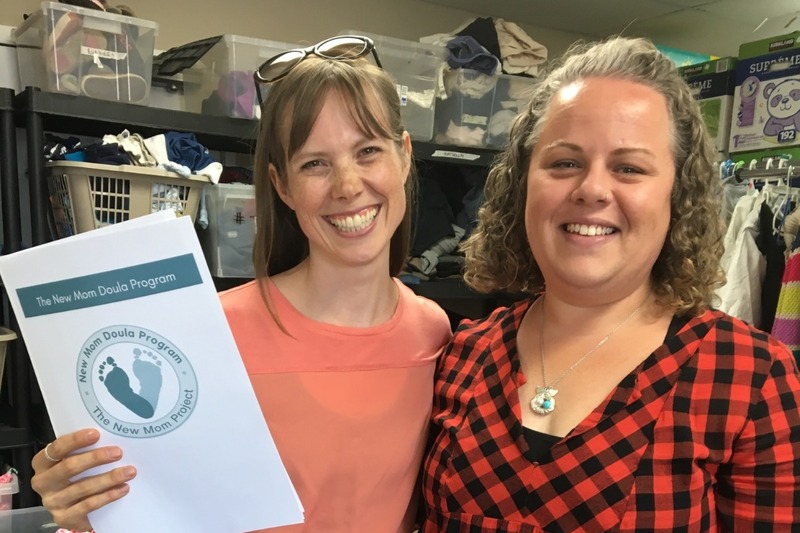 The New Mom Project provides marginalized families with basic baby necessities to get them off to a healthy and loving start by redistributing donations of gently used or new items to families in need. We are proud to announce we are expanding our service offerings to include The New Mom Doula Program. We are now able to support pregnant women through the professional support of a trained doula. 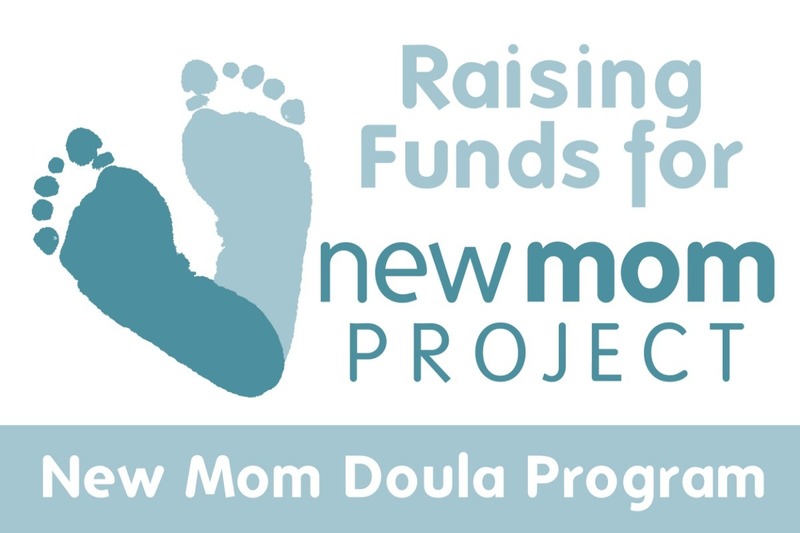 All participants in The New Mom Doula Program are facing social isolation, economic disadvantage and experience a range of health disparities that are present for marginalized and vulnerable women. Our program respects the diversity of human experience, is trauma informed and provides LGBTQ+ sensitive and culturally inclusive care to all participants. This pilot program will initially focus on supporting newcomer women who do not have a partner or birth support person to be present and assist them during their pregnancy, labour and delivery and immediate postpartum period. Pregnant women will be referred to us through case managers and social workers at partnering agencies based on the pregnant woman’s needs, expected due date and interest in receiving doula support. Volunteer Doulas will then provide these mothers with one prenatal home visit, continuous support during labour and birth, and up to two in home postnatal visits once the baby is born. The doulas will practice under the supervision of our Program Coordinator, who is an experienced doula. The informational, emotional and hands on physical support the doula provides to the mother during pregnancy, labour, delivery and the immediate postpartum period enhances the overall health care the mother receives during the life changing processes of birth and entry into early motherhood. This hands on support has been shown in the research to helps foster healthy bonding and attachment between the mother and her infant(s), which helps to establish the basis for health and wellness within the new or expanding family of our program participants. This type of quality program can have a significantly positive impact on the family. The New Mom Doula Program addresses the well established need women have for continuous hands on support during labour and delivery. We know that it is extremely rare, and is most often not the role of social workers or case managers, to attend the birth of their marginalized clients. Our program will add significant value to systems that are already supporting the pregnancy and early parenting needs of newcomer women in Toronto. We fill a wide gap in birth care by working closely with the pregnant woman and her case manager or social worker to meet needs and address gaps and barriers to care that exist for the individual, namely by being a proactive and hands on presence providing necessary perinatal education and hands on birth supports. Evaluation and collecting ongoing feedback about the impact of The New Mom Doula Program is of utmost importance to us. Surveys will be distributed to the mothers before and after care to determine changes in overall satisfaction levels and feelings of support and connection. Surveys and group discussions with the doulas will also be held regularly to promote ongoing program quality improvement. Check out our latest blog post about our New Mom Doula Coordinators!